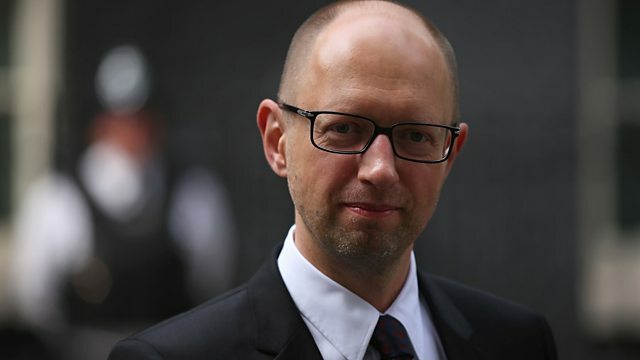 HARDtalk’s Stephen Sackur speaks to Arseniy Yatsenyuk, former Prime Minister of Ukraine. After three years of fighting in eastern Ukraine, 10,000 dead and hundreds of thousands displaced, is it time for Ukraine's leaders to acknowledge they’re in a war they cannot win? Arseniy Yatsenyuk was Ukraine's prime minister from 2014 to 2016 and he described his own premiership as a 'suicide mission.' How does his nation avoid self-destruction?